Puma came back into the basketball scene this past year with the Puma Clyde Court Disrupt which was a great introduction back into the game. 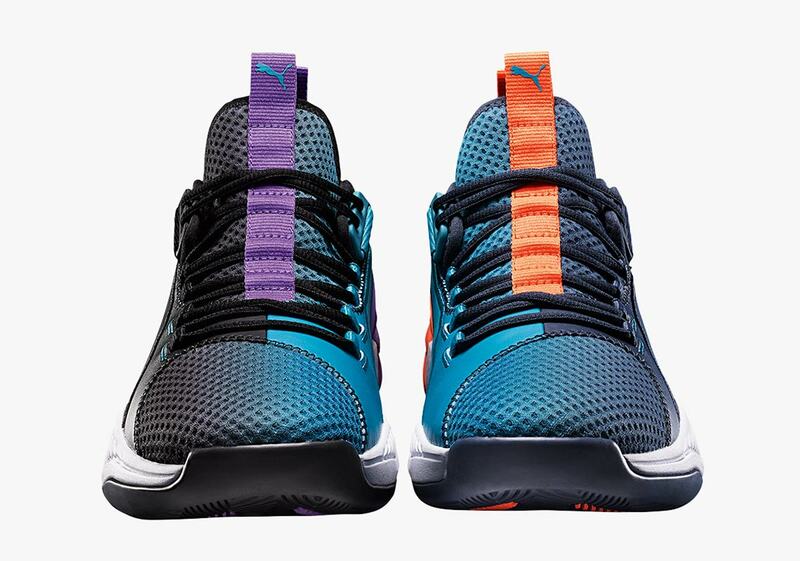 Now, Puma is coming right back with the all-new Puma Uproar Hybrid which will become available for sale as of February 16th, the day before the All-Star Game, according to Sneaker News. The price will be a reasonable $130 USD. There have been a ton of sneakers announced for the all-star weekend so it only makes sense that Puma would be following suit with a big release of their own. Not to mention, the game is in Charlotte this year, and much like most of the shoes we're seeing this weekend, these new Puma's have a Hornets-inspired colorway. 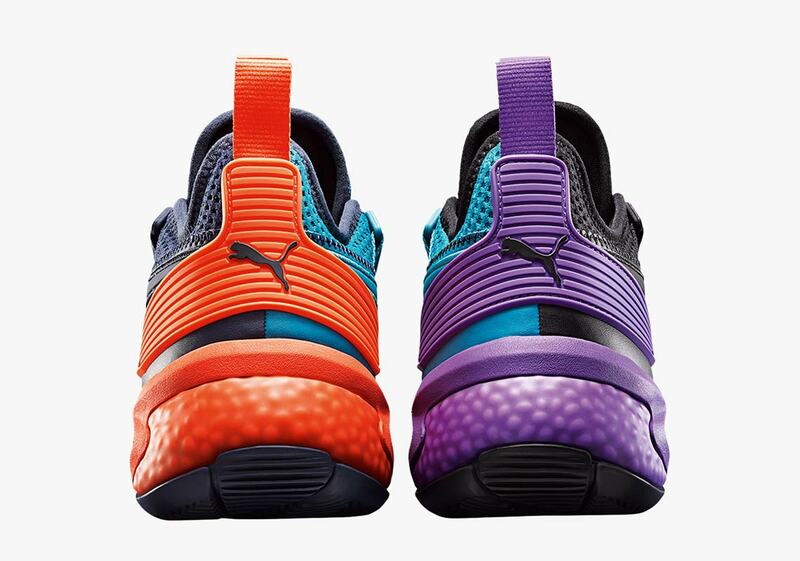 One shoe has purple on the back and tongue, while the other has orange. As for the primary color of the shoe, it is black and "Hornets" blue, giving these a ton of flashy colors. If you wear these on the court, you're definitely going to be stopped by fellow players and asked where you got them. It's a great introduction into the model and it will be exciting to see what other colorways come out of this shoe.